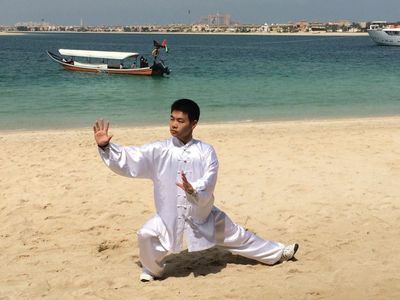 Tai Chi is known for its meditation and medication in motion. It is also a high-level martial art that satisfies many of the multi-faceted demands of human life. Tai Chi offers precious wisdom in regards to health and artistic expression by providing an education deeply grounded in kinetics, medical science, physiology, body mechanics, psychology, philosophy, and aesthetics. to help you improve your self-immunity, improve self-healing capabilities.